Why would I post a picture of fruit? Well this brought something to my mind this evening. Look at it? Do you know what it is? Hubby brought them home and I did not and had to resort to my Facebook friends helping me out. Found out it was lychee fruit and tried it while he was at the gym. Of course when he got home he asked if I knew how to eat it? Of course I said I just cut it in half and ate the white part on the inside and threw out the seed and the outside. He being my wonderful smarty pants with a straight face asked if it was any good? Yea I said why? Well Julie your supposto eat the seed and throw away the white stuff it is poisonous. He only let me hang a few seconds before breaking into a smile, which meant he was just joking with me. This brought up a thought for me. ((I know I know that does not happen very often)). What if in art or life we did not try things we had never heard of? Would we do our selves harm by not trying? I say yes. The only way to learn is to try. The first time you try something in life whether it is a Lychee fruit or art or anything you will not necessarily be happy with the results but if you keep trying sooner or later you will find things you like. In art the more you try the better results you will get. One of my online mentors says that art is like baby steps. You start out slow then sooner or later you are running with a technique or idea and can not stop your self but again how it all starts is baby steps. Do we wabble when we start? Yes! But as we continue walking (creating) we get better and better and soon we are taking the techniques we learn and applying them in unique one of a kind ways that makes our items our own. The only way to get to that point is to make that first cane, or pendant, or try that faux technique. My challenge to you is to try something you would not normally do because of your fear of trying. 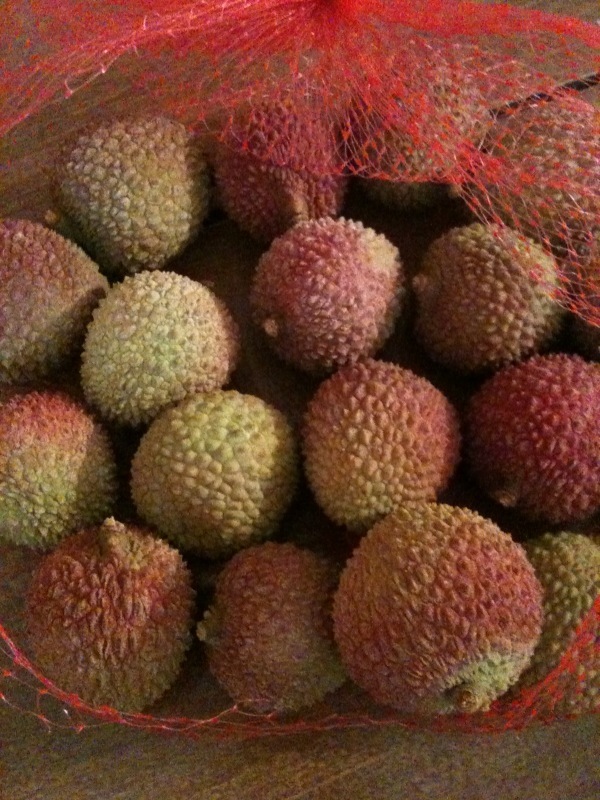 You never know your experience may just turn out like my Lychee did! P.S. vacation mode is getting close to setting in eekkk I have a ton of shopping to do and a special bracelet to make for someone half way around the world! This entry was posted on June 26, 2010 at 2:02 AM and is filed under Artistic Motivation, polymer clay. You can follow any responses to this entry through the RSS 2.0 feed. You can leave a response, or trackback from your own site.